Psst. 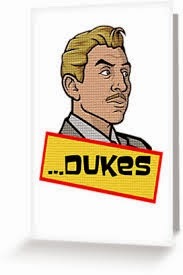 How 'bout a quickie? Yeah? First, go here for today's recipe. What? Second, gather the ingredients. What? This really is a quickie of a recipe. I swear, this recipe couldn't be quicker to put together! <smirk> Bale bars, y'all!! Bale bars? 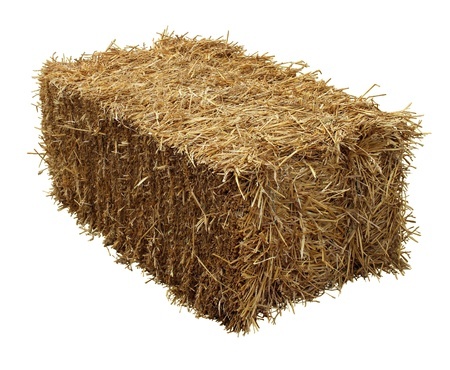 All I can picture are bales of hay (please note, this is straw). 'Mmm straw', said my imaginary pony. My real pony never said that. I don't think he liked straw. Or there is the off chance he couldn't talk. (And not just because I did all the talking for him!) Though truth be told, I do love to talk for animals. True story. Ask any animal, and you will hear it agreeing with that (just in my voice). Bale Bars. Ingredients include peanut butter, peanuts, pretzels and white chocolate. Interesting. No hay, straw or straw like cereal. Okay, let's do this! Marvin Gaye could totally say it better...let's get it on! Bale bars have been made. Now all I need to do is cool this pan and then cut into bars. And that my friends is how a quickie is done. Yep, just need to cut into bars. I didn't want to be the one to break it to you, but sometimes you can regret a quickie. And that's okay, 'cause life if full of lessons (not all good). We could just carry on and forget about it (lesson learned and all), or we could bash the heck out of something! Argh!!! Therapy comes in many forms. Bashing just happens to be one of them. Know what else is good therapy? Ice cream. Okay, last bit of therapy for a better life. Sure, ice cream is good, but what makes it even better is mixing in the bashed bale bars. Seriously, how am I not a therapist? Right? One scoop or two? Don't be afraid to let the therapy work. Love your suggestion to eat these crumbled over ice cream!!! Oh yeah! That looks like a great ice cream topper! Probably will be doing that with mine as well! They are chilling right now but I don't think they are going to hold together! Ice cream topping, great idea! And I was thinking 'bales of hay' too! You are a very good therapist!!!! Ice cream seems to be a great idea!! Unfortunately I missed this recipe, maybe I'll give it a try .... with ice-cream!! Cooking/baking is my therapy too along with writing. Therapist said do something you and enjoy and well I just so happen to love cooking. Great recipe I shall definitely try it, thanks for sharing! Great minds think alike! This was delicious as an ice cream topper! A gal after my own heart! When in doubt crumble on top of icecream! I may have down that a time or two with toffee and brittles.